What better way to start the New Year than crammed in a car for 6 hours straight, am I right? Okay, maybe it’s not for everyone, but in all seriousness, I really wouldn’t have had it any other way. 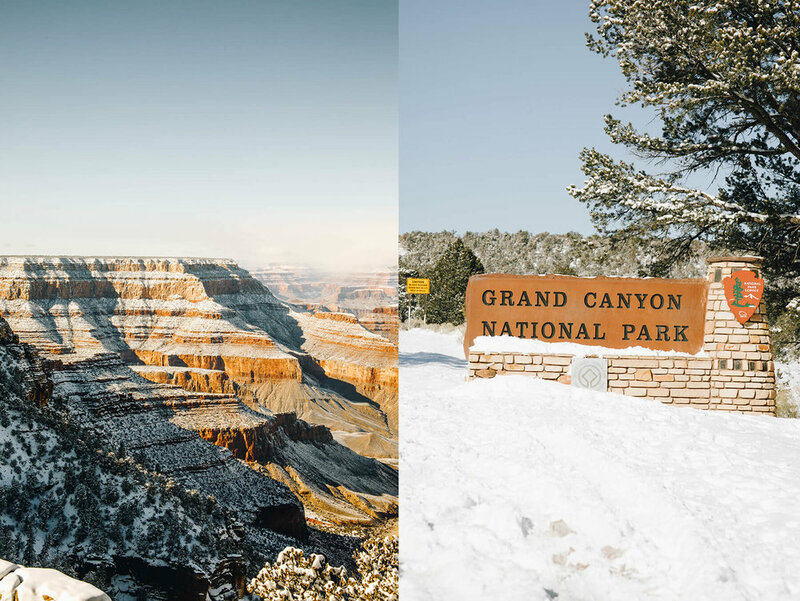 On December 30, Marty and I set out for an Arizona road trip to explore Saguaro National Park, Sedona, and the Grand Canyon. We had a lot of ground to cover (1289 miles to be exact) and just 72 hours to do it! We used Phoenix as our home base and booked a tiny home through AirBnb. It was the perfect place to relax and put our feet up after our long day trips. 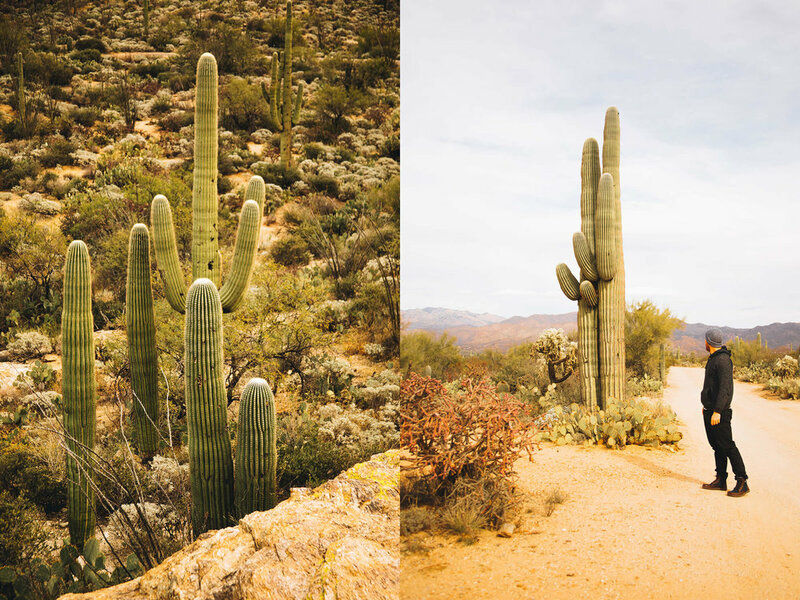 When we woke up for our first full day in Arizona, we set off for Saguaro National Park in the southeastern region of the state. It’s 2 sections are located on either side of the city of Tucson. Since we were short on time, we opted to explore the east section, which has a magical 8-mile loop drive that guides you through endless picturesque views of Saguaro cacti. Despite being named after the Saguaro cactus, the park is actually home to more than 2 dozen different cacti species. It was amazing to see them all thriving together in such a diverse landscape. The Saguaro cactus is also the largest cactus species in the United States and can grow up to 40-60 feet! See Marty below for scale. 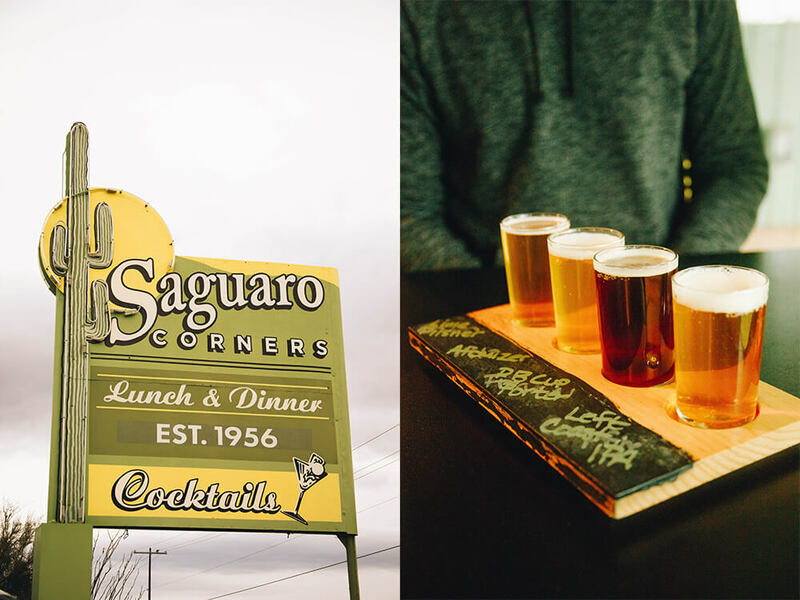 If you decide to visit the park, be sure to grab a bite to eat at the historic Saguaro Corners restaurant located just outside of the park’s east entrance. They serve up some tasty homestyle grub and have a pretty extensive beer list. Be sure to take advantage of the $8 flights! We headed up to northern Arizona for the latter part of our trip, stopping to explore Sedona on the way to the Grand Canyon. We knew it would be chilly at a whopping 18 degrees, but we had no idea we’d encounter so much snow! Turns out our trip aligned perfectly with a rare snowstorm that coated the Arizona desert with 4 inches of snow just before we arrived. The stark contrast between Sedona’s red rocks and the white snow was absolutely breathtaking. Sedona was mesmerizing, and just when we thought it couldn’t get any better, it did. When we left Sedona for the Grand Canyon, we drove through the Coconino National Forest and it was absolutely gorgeous. I wish I had pictures, but they honestly wouldn’t have done it justice. Now, on to the “grand” finale! Pun most certainly intended. Words really can’t describe what it feels like to stand on the rim of the canyon. It’s vastness is difficult for the human eye to even comprehend. We would have loved to hike down into the canyon, but unfortunately the snow made many of the trails inaccessible. Looks like we’ll just have to visit again! And what’s a trip to a National Park without seeing some wildlife? These peaceful deer strolled on by our car just as we were leaving the park - the perfect send off! I’m back at home now, still in awe of the landscapes I witnessed and am eager to head back to explore more of northern Arizona. 2019 is off to an unbelievable start and I can’t wait to see what adventures are in store!